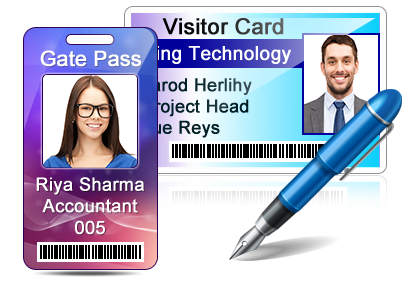 Gate Pass ID Cards Maker & Visitors Management Software design visitor ID Card and Gate Pass for visitors as soon as they arrive. Software also maintains all incoming and outgoing visitor's details to the database. Software provides option to capture visitor's photo using Camera require for your ID Card. Software provides option to easily search any visitor's records from database by Name, Company Name, Date Range etc. 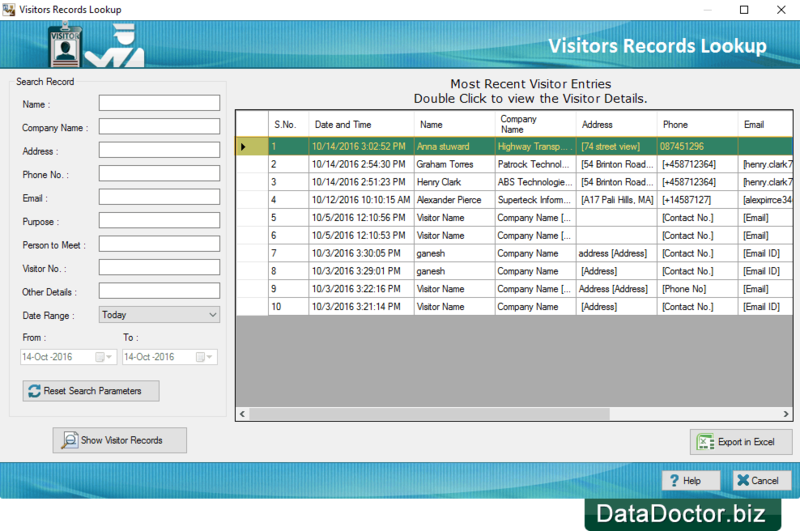 You can save visitor's records to view it later and also export visitor's records in Excel file. 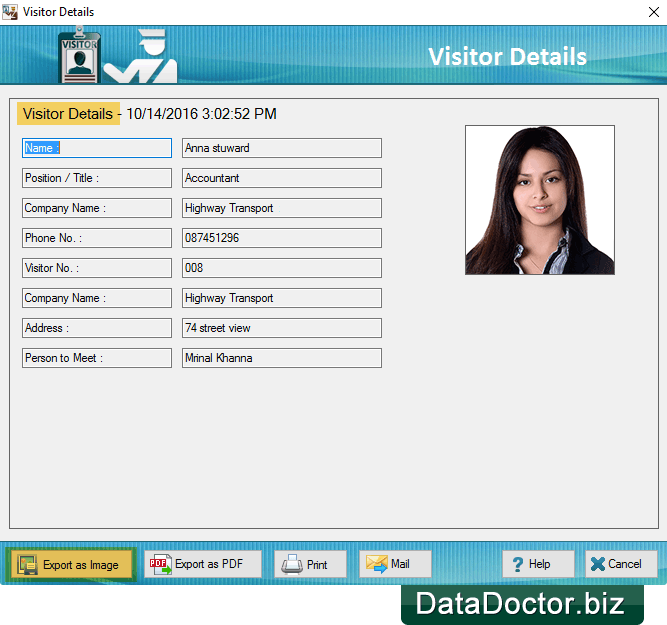 Software enables users to add all-relevant information about the visitor to the database. 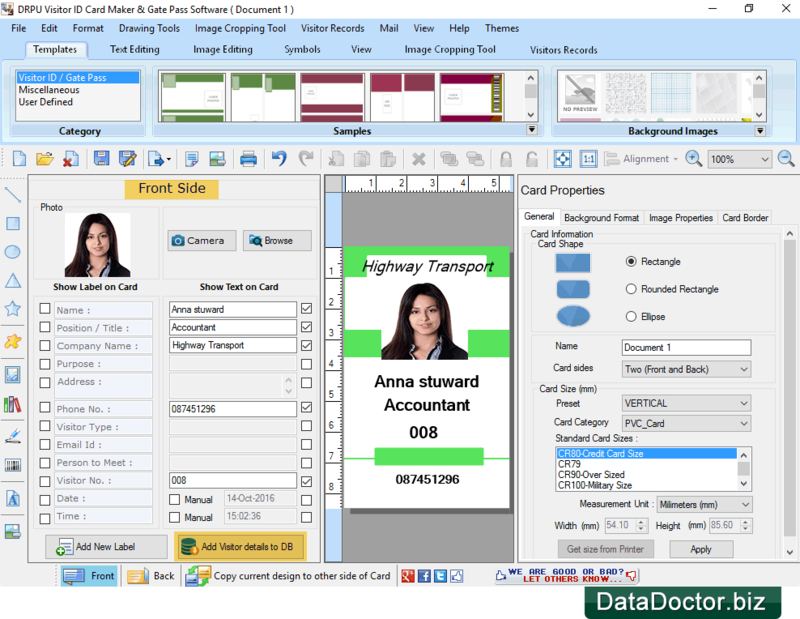 Having option to capture Visitor's photo while designing Visitor ID card or Gate Pass. 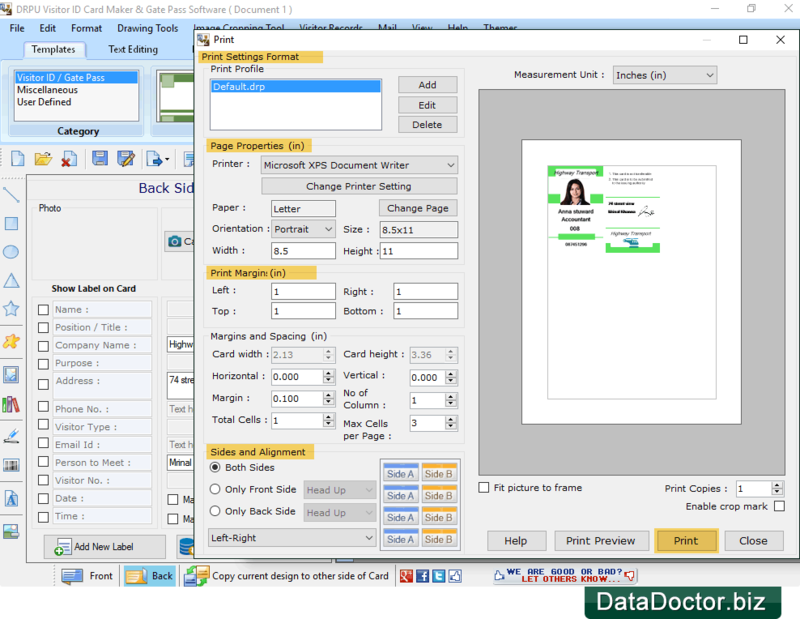 You can Export designed Visitor ID card as Image (JPEG, PNG etc. ), as PDF and as Template. 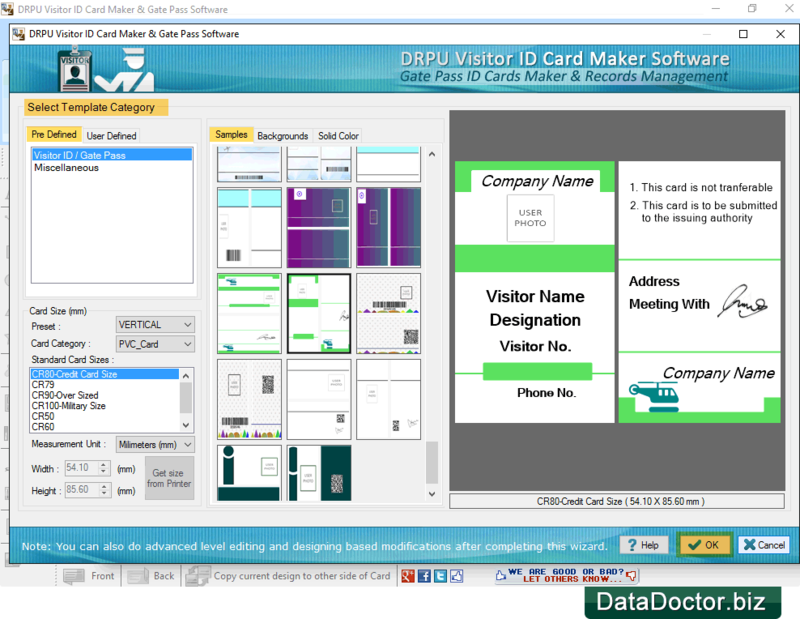 You can see designed Visitor ID Card using Visitors ID Gate Pass Maker software in below screen. How to Design Visitor ID card? 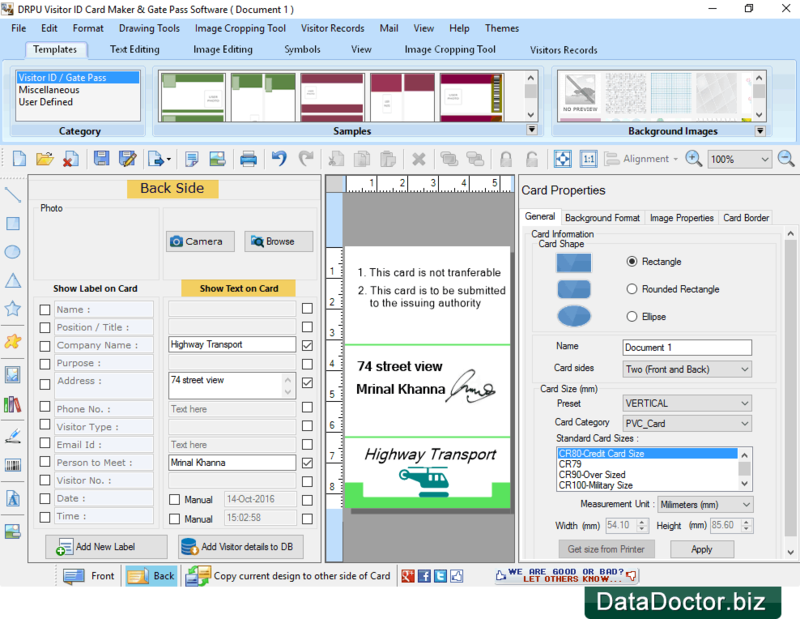 Choose Template Category and select samples for your ID Card, Select Card Size, Width and Height as per your requirement. Now Click 'OK' button. Now specify your label shape and color and proceed to Next step. Here, You can see visitor's details. You can Export visitors' record As image, As PDF. You can print and Email visitor's record. To print your designed ID card, Go to print button as shown in toolbar, then set all print settings and click 'Print' button.